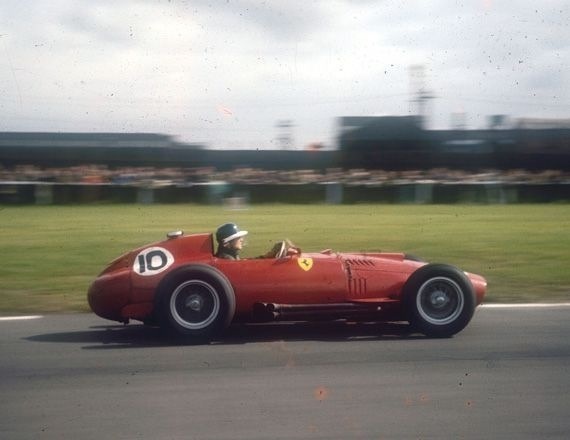 But Mike was hardly ‘the main game’ in this race, a pivotal one in GP history. 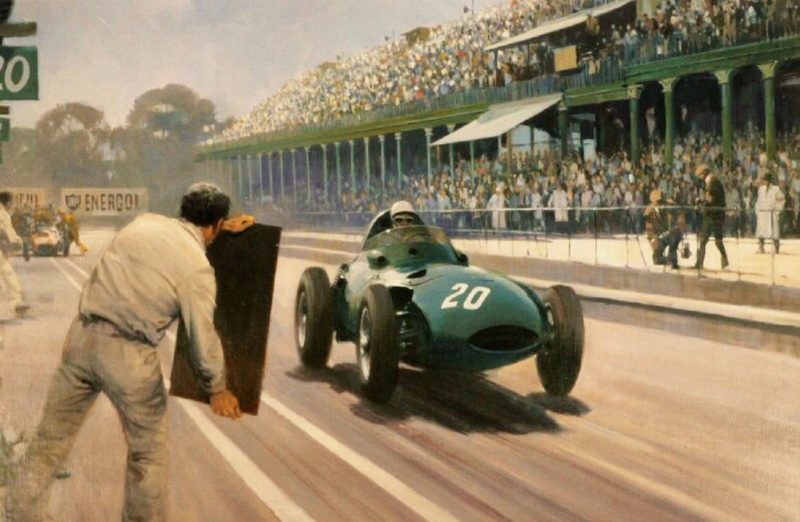 Tony Brooks and Stirling Moss shared a Vanwall to win at home, thereby scoring the first world championship victory for a British car, the beginning of a period of dominance by British teams, largely undiminished for the last 50 years. 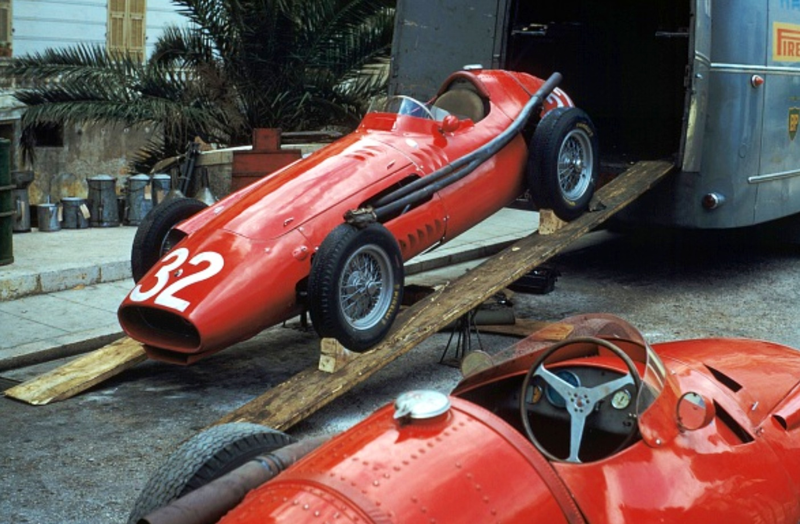 Also noteworthy and equally epochal was the appearance of two Cooper T43 Climaxes driven by Roy Salvadori and Jack Brabham. 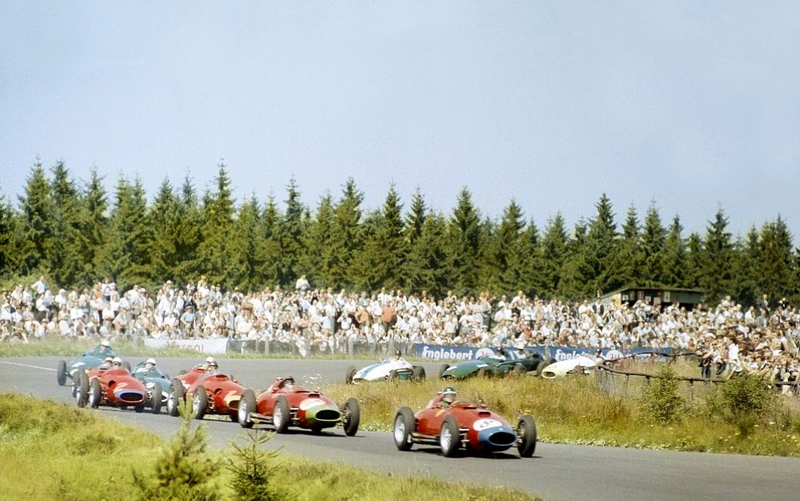 Behra led from the start but Moss passed him before the end of the first lap, then came Brooks, Hawthorn, Collins, four Brits in the first five. 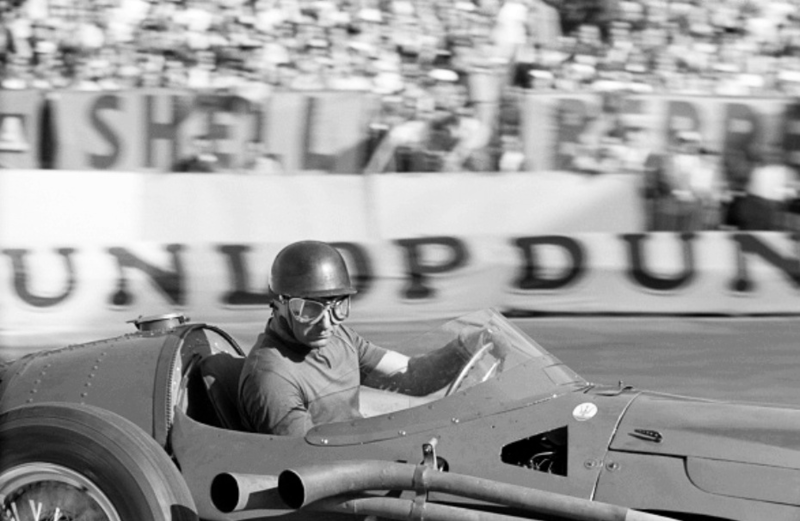 Moss’s Vanwall started to run roughly so he pitted, taking the wheel of Brooks sister car, who was summoned to the pits, Moss rejoined 9th and started carving his way through the field. 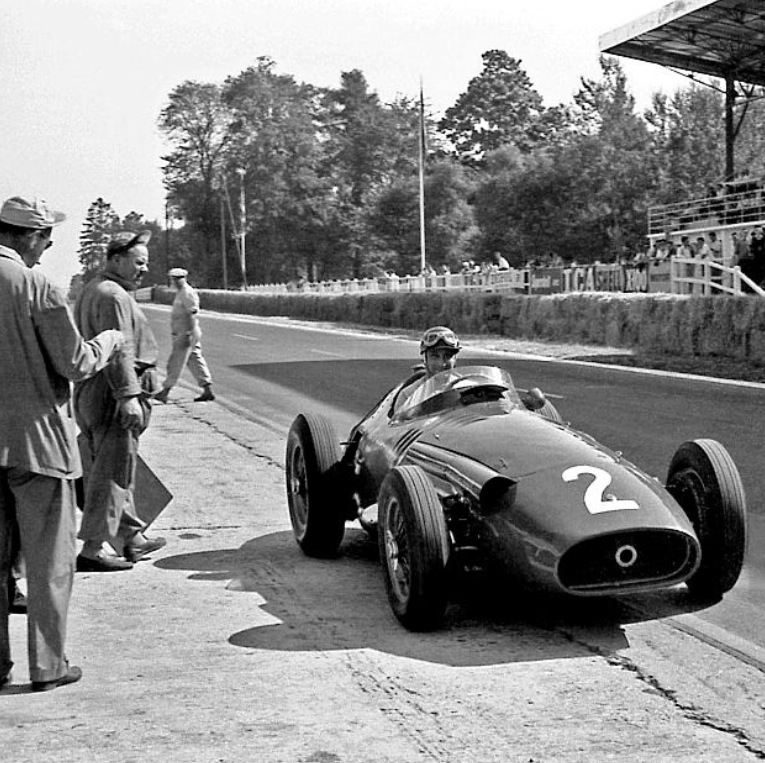 By this stage Jean led from Hawthorn, who was unable to challenge the Frenchie, then came Lewis-Evans, Vanwall, and Collins. 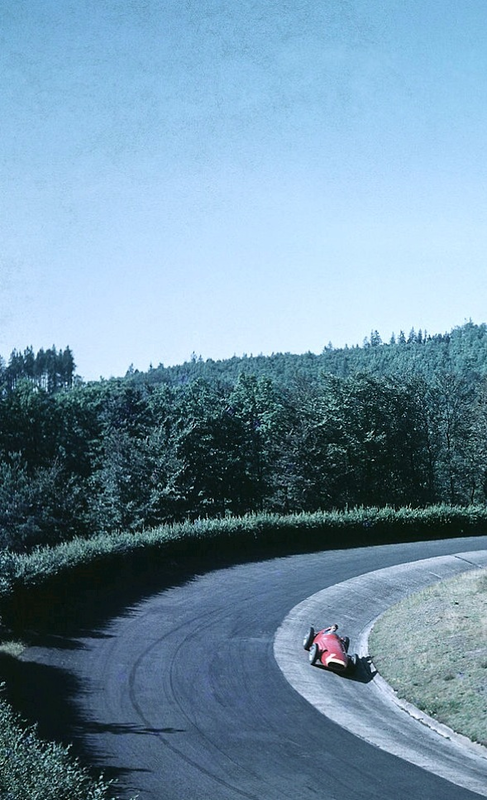 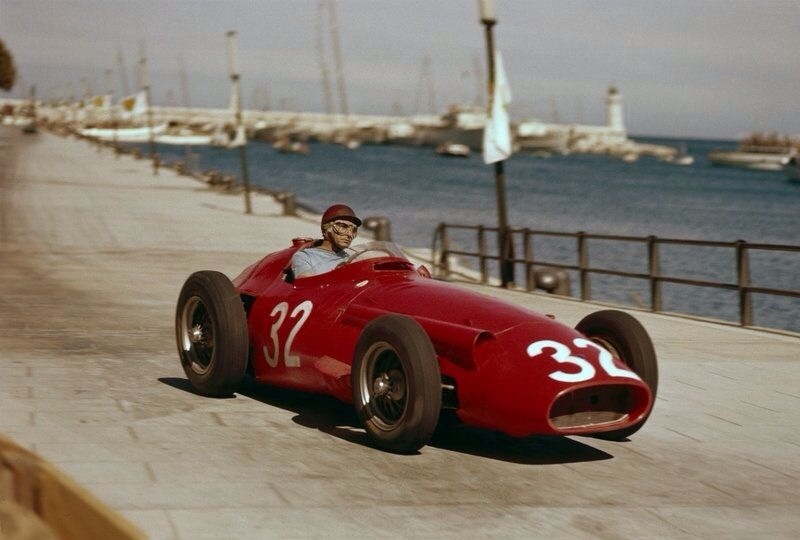 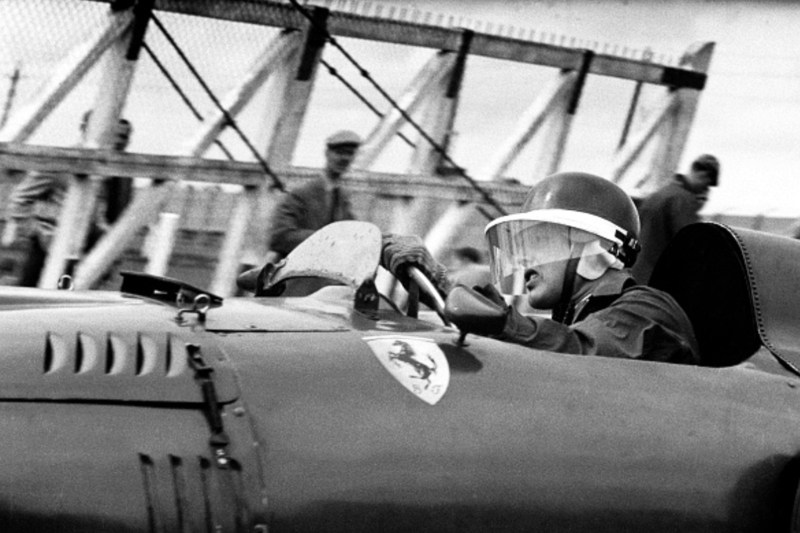 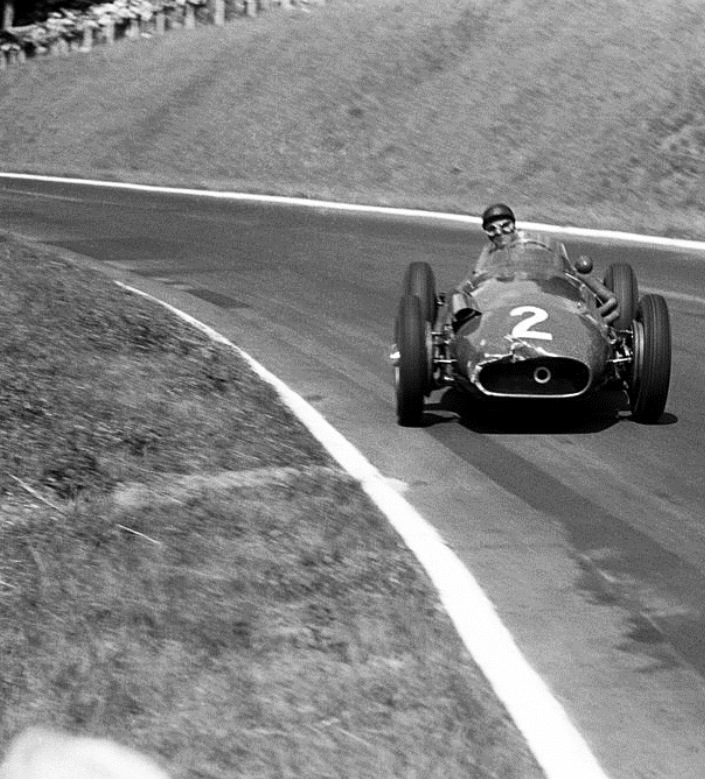 Moss was soon up to 5th aided by mechanical failures which befell Fangio and Collins.